Our name is synonymous with the country's biggest political scandal. The Watergate Hotel, however, was controversial from the start. When it opened in 1965, celebrity Italian architect Luigi Moretti's curvy, sprawling design sent shock waves through conservative DC. 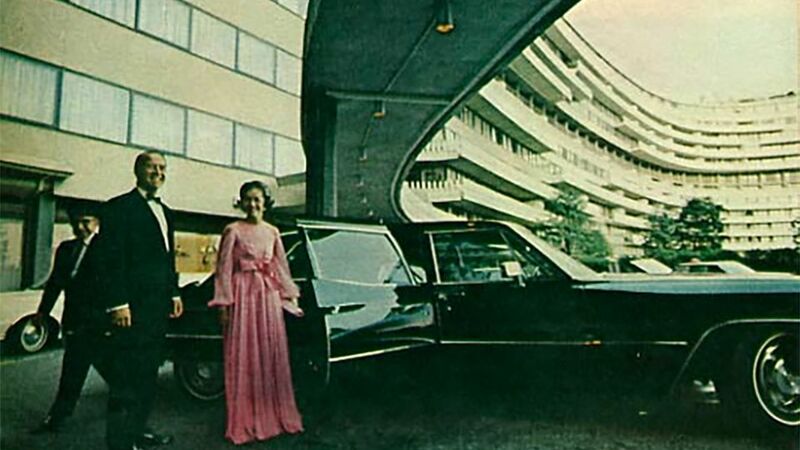 Despite criticism, the Washington DC luxury hotel quickly became a playground for the fabulous. Actors and models hobnobbed with congressmen and the Supreme Court Justices who lived in the Watergate apartments. Its glamorous reputation was eclipsed with political scandal on June 17, 1972, when five intruders were caught in the headquarters of the Democratic National Committee, leading to Richard Nixon’s resignation. Since Nixon infamously declared "I am not a crook," The Watergate Hotel has been renovated time and again, but no one embraced its original design or posh patrons. Until now. We have arrived at the hotel's newest chapter as a luxury hotel in Washington DC. Moretti disciple Ron Arad has restored The Watergate Hotel with a dramatic undulating copper lobby and lush, mid-century modern furniture. Our staff is poised to create a memorable experience for every guest. When Italian architect Luigi Moretti first unveiled his design for the Watergate Complex, devotees of Washington's neoclassical architecture declared the bold design blasphemous and "as appropriate as a strip dancer performing at your grandmother's funeral." In a nationally television press conference, the infamous phrase "Well, I am not a crook" by U.S. President Richard was stated in defense and to stress that he never profited from his years of public service. Nixon was eventually implicated in The Watergate Scandal and resigned from office the following August. The hotel had been bought and sold several times and underwent various renovations. The Watergate Hotel re-opens its doors and once again welcomes guests.